Just as with vacation destinations, some business travel locations are more popular than others. This could be useful information for a number of different audiences. It could prove most useful to entrepreneurs looking to break into the B2B sector. Starting a B2B business in one of the top business travel destinations could be most advantageous to prospective B2B entrepreneurs. If you are considering starting a B2B business, find out the top business travel locations below. Then, use this knowledge of executive travel getaways to establish a successful and profitable business model in B2B sales. 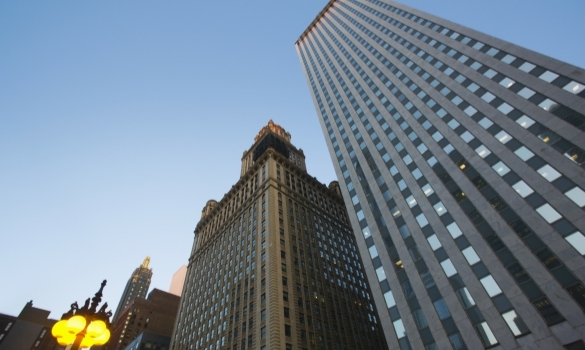 Chicago, Illinois is one of the top business travel locations for today’s professionals. Chicago is a Midwest business hub for a number of different industries. In particular, media industry businesses and newly formed tech startups frequently find reason to travel to Chicago for business. This Midwest city is also home to the Chicago Mercantile Exchange, which is quite important for many business travelers, including Chuck E Cheese franchise owners. In addition to great business attractions, Chicago is home to a booming travel and tourism industry. The city has tons of enticing leisure activities and cultural explorations available to executive travelers. These elements are what makes Chicago one of the best business travel locations for B2B entrepreneurs to consider when deciding on business locations. New York City is the city that never sleeps, and it is also one of the top executive travel destinations. The Big Apple is home to Wall Street and businesses from all over the world. New York City is also home to a multitude of Fortune 100 headquarters offices. Still, startups and small businesses also abound just a stones throw from some of the biggest corporations in the world. Financial services, media and technology businesses are the most prominent in the big city. Then after business hours, the city comes alive with some of the best travel and tourism anywhere in the world. Between Broadway, Central Park, The Met, The MoMA, The Empire State Building and the Statue of Liberty, there is no shortage of enjoyment for business travellers. This balance of work and play is unmatched by other business travel locales. That is why Manhattan is one of the best travel destinations for work purposes. London is one of the top international business travel locations for executive travelers from all over the globe. The city frequently attracts business travelers from the financial services, professional services, media, tourism and technology industries. The Square Mile is also one of the most popular international travel destinations for leisure and recreation tips as well. That means there are no shortage of cultural experiences that are corporate travel policy complaint to be had in the city. London has its own Broadway, called the West End. In addition, there is a ton of incredible architecture, museums and attractions like Buckingham Palace or the Palace of Westminster to indulge international business travelers. If you want to start a B2B business in a one of the top business travel destinations, consider looking into incorporating in London. Toronto is yet another populous city with a thriving business sector that welcomes millions of business travelers each year, despite the Canadian debt problem. Executive travelers to the Canadian city are frequently employed by businesses within top industries, including the financial services industry, manufacturing industry and tourism industry. Toronto is also found right next to Lake Ontario, offering a possibility for new and exciting business travel excursions throughout the work week. In addition, Toronto, Canada is also home to attractions like the Eaton Centre, CN Tower and the Mink Mile. For B2B sales that can benefit from one of the most diverse urban populations in the world, consider incorporating in Toronto, one of the best business travel locales worldwide. Santa Barbara is now one of the best business travel destinations in the world. It is located to many to businesses found mostly within the tourism, technology and financial services industries. This presents quite an opportunity for B2B sales in the area to capitalize on the presence of tourism and tech companies. In addition to all the tech industry business opportunities, Santa Barbara travel has quite a number of attractions and activities to entice business professionals off the clock. There is no shortage of Pacific Ocean views for business travelers or business owners. This is what makes Santa Barbara, California one of the top business trip locations. If you are an entrepreneur looking to start a business in the B2B sector, there are certain ideal business locations for you to consider for incorporation. The best business travel destinations present a unique and lucrative opportunity for B2B business models to capitalize on. This post is here to help identify those top business travel locations. That way, you can incorporate in these top travel locales to establish a solid and sustainable foundation for your business operations. Let us know which popular business travel locales you are considering in the comments below. We would love to hear from you.